Although horses have always been her first love, Bridget spent her working life developing a successful career centred on the breeding and management of dairy cattle, firstly as a consultant and international authority on cattle reproduction and latterly as a Director of a large Research Institute. 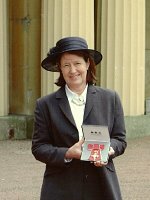 She is a Fellow of the Society of Biology and the Royal Agricultural Society, was awarded Hampshire Businesswoman of the Year, the RASE award for her contribution to the advancement of British Agriculture and the OBE for services to the dairy industry. Bridget’s interest in racing started in December 2002 when she purchased a race horse as a Christmas present for husband, John. The venture was a success and a great deal of fun so she decided to use her technical and management skills to develop a new business centred on racing. Ten years on she manages Mildmay Farm and Stud, set up to care for the broodmares and horses out of training:, Mildmay Bloodstock established to breed the next generation of winners and Mildmay Racing with team of up to 15 syndicate horses in training. Mildmay Racing have carefully selected trainers who are consistently showing fantastic results on the track and work hard to improve the enjoyment that syndicate members get out of a Mildmay Racing syndicate. Although they are most consistently towards the top of the league tables for winners and prize money, we feel each trainer contributes something just that little bit different which enables us to match individual horses to the trainer that is most likely to bring out the best in them. They have been selected on the basis of their results, the fact that they all appreciate the importance of stable visits and keeping owners informed. Roger took over at Jeremy Tree’s Beckhampton House Stables in 1990 and has never looked back. 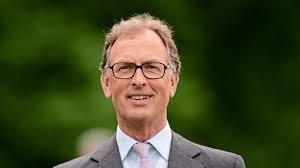 Group winner after group winner followed including the English Derby with Quest for Fame and the French Derby with Sanglamore and he is now one of the country’s top trainers. Not only has he specialised in multiple stakes winning horses, horses under his care have also landed the prestigious The Old Newton Cup, The Zetland Gold Cup, The Magnet Cup, The Britannia, 2 King George V Handicap, The Duke of Edinburgh, 2 Cambridgeshires, 2 Bunbury Cups, 3 Totesport Miles, and 3 Stewards Cups. Clive was selected to be a Mildmay trainer in 2005. He is a down to earth, hands on person from a farming background. He started as a trainer in his own right following a successful career as a NH jockey and assistant trainer to Mikey Heaton Ellis. In 2000, together with his wife, Tina and family, he moved to John Francome’s yard, Beechdown stables on the edge of the Lambourn Downs. The facilities are excellent and include American style barns, private all-weather and grass gallops and an indoor school. Clive has had fantastic results for Mildmay Racing. The first filly he trained for us was the Stakes winning, Perfect Star and he trained the great home-bred filly Perfect Tribute, to win the Chartwell Fillies’ Stakes (Group 3). Clive had a fantastic season in 2016, training the winners of 8 Group races, 2 of which were at Group 1 level. In 2016 and 2017 Clive had great success with Harry Angel winning Dubai Duty Free Mill Reef Stakes (Group 2) in 2016, Armstrong Aggregates Temple Sandy Lane Stakes (Group 2), Darley July Cup Stakes (Group 1) and 32Red Sprint Cup Stakes (Group 1) all in 2017. Clive’s other recent big wins include the Armstrong Aggregates Temple Stakes (Group 2) with Priceless, the Queen Mary Stakes (Group2) with Heartache, the Prince of Wales Stakes in 2016 with My Dream Boat, The 2016 Kings Stnad (Group 1) with Profitable, the Middle Park Stakes (Group 1) with Reckless Abandon in 2012, the Darley July Cup (Group 1) and the Diamond Jubilee Stakes (Group 1) with Lethal Force in 2013. Andrew was the second local trainer to be selected to train Mildmay Racing’s horses and started to train for Mildmay in 2009. 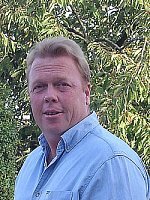 He became a licenced trainer in 2003 succeeding his father, Ian, at Park House Stables, Kingsclere, undoubtedly one of the best equipped private facilities in the world. 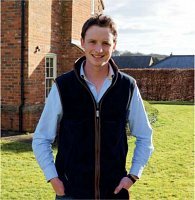 Andrew started his racing as an amateur jockey working for his uncle, Toby Balding and Lynda Ramsden before returning home to assist his father in 1998. The facilities include 150 boxes, two covered horse walkers, a two furlong circular indoor ride , a four furlong cinders trotting track, an equine swimming pool, a high speed treadmill, several all-weather gallops and some of the finest grass gallops with turf that has been down for over 100 years. Andrew is enthusiastic, energetic and highly competitive and very knowledgeable and generally has a relaxed attitude, no doubt due in part to his family team of Ian, Emma and Anna Lisa behind him. He enjoyed the success of winning the Oaks in his first year as a trainer and thrives on taking horses abroad winning Group 1 races in Dubai, Hong Kong and Canada. Recent big wins in 2017 include the Shadwell Joel Stakes (Group 2) with Beat The Bank, Weatherbys Hamilton Lonsdale Cup Stakes (Group 2) with Montaly, Qatar Sussex Stakes (Group 1) with Here Comes When, the Betway John of Gaunt Stakes (Group 3) with Absolutley So and the Betfred Middleton Stakes (Group 2) with Blond Me. In 2016 he had success with Tullius at the Investec Diomed Stakes (Group 3). Other big wins include the Racing Post Trophy (Group 1) and the Royal Lodge Stake (Group 2) with Elm Park in 2014 and the York Stakes (Group 2) with Tullius in 2015. Archie is the most recent trainer to join us and so far has trained two of our horses. Archie grew up near Lambourn and has spent his entire life around thoroughbreds. He has a wealth of experience gained both in the UK and abroad which is already proving its worth as he begins to enjoy success. Archie has only recently embarked on his own training career at Saxon Gate in Berkshire which combines both beautiful buildings and excellent facilities maintained by Jockey Club Estates just a stones throw away. Despite being new Archie has made a huge impact in a short space of time, beginning with achieving success with older horses who's racing careers were considered to be over. He also enjoys just as much success with the younger horses and narrowly missed out to Mick Appleby on the Leading All-Weather Trainer top spot, a remarkable achievement for a fledgling trainer. Unlike some modern trainers Archie does not like to use heart monitors and other gadgets, he prefers to train by eye and feel and listens carefully to the feedback from his team of riders. 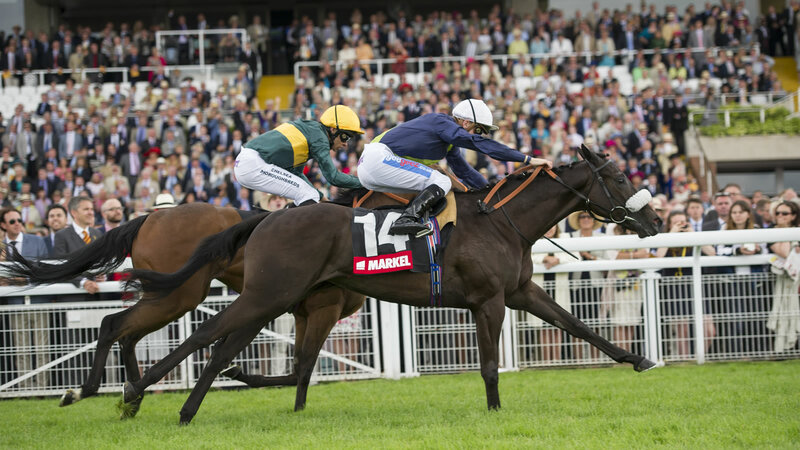 So far in 2018 Archie has enjoyed 28 wins including Corinthia Knight winning Prix Montenica and 32Red 3 year old All-Weather Championships Conditions Stakes and Brandon Castle winning totepool Queen's Cup Handicap. 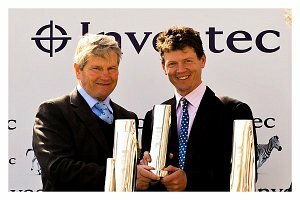 Patrick joined us in 2016 and has trained flat and National Hunt winners at Inhurst Farm Stables since the early 1990s. With stabling, paddocks, private gallops & schooling grounds on the family’s converted dairy farm, Patrick and his wife Phillippa run a successful and happy yard. Patrick gets excellent results with older horses due to his one to one approach to training and relaxed yard environment.